Robert Yablon teaches Civil Procedure, Federal Jurisdiction, and the Law of Democracy. His research interests include political and election law, constitutional law, federal courts, and statutory interpretation. 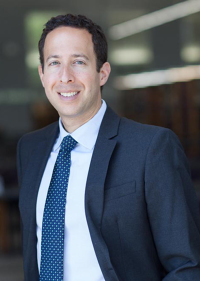 Professor Yablon received his bachelor's degree in economics and political science from the University of Wisconsin-Madison and his master's degree in social policy from the University of Oxford, where he was a Rhodes Scholar. He then earned his J.D. at Yale Law School, where he was an Articles Editor of the Yale Law Journal. Following law school, Professor Yablon served as a law clerk for Judge William Fletcher of the U.S. Court of Appeals for the Ninth Circuit and for U.S. Supreme Court Justices Ruth Bader Ginsburg and Sonia Sotomayor. He also worked in private practice at Orrick, Herrington & Sutcliffe LLP in San Francisco and Washington, D.C. He has been the principal author of dozens of appellate and trial-level briefs, and has argued in a number of state and federal courts, including the U.S. Supreme Court. Professor Yablon's recent articles include "Voting, Spending, and the Right to Participate," 111 Northwestern University Law Review 655 (2017), "Campaign Finance Reform Without Law," 103 Iowa Law Review 185 (2017), and "Campaigns, Inc.," 103 Minnesota Law Review __ (forthcoming 2018) (available for download on SSRN). In 2018, UW Law students honored Professor Yablon with the Classroom Teacher of the Year Award.